The Palmer Historical & Cultural Center (PHCC) in Three Rivers, Massachusetts, is a multipurpose performance center and function hall that provides an intimate venue for live music, guest lectures, movie screenings, and other cultural events. With adjacent parking off Main Street, the Center is also a convenient space for showers, weddings, performances and meetings. 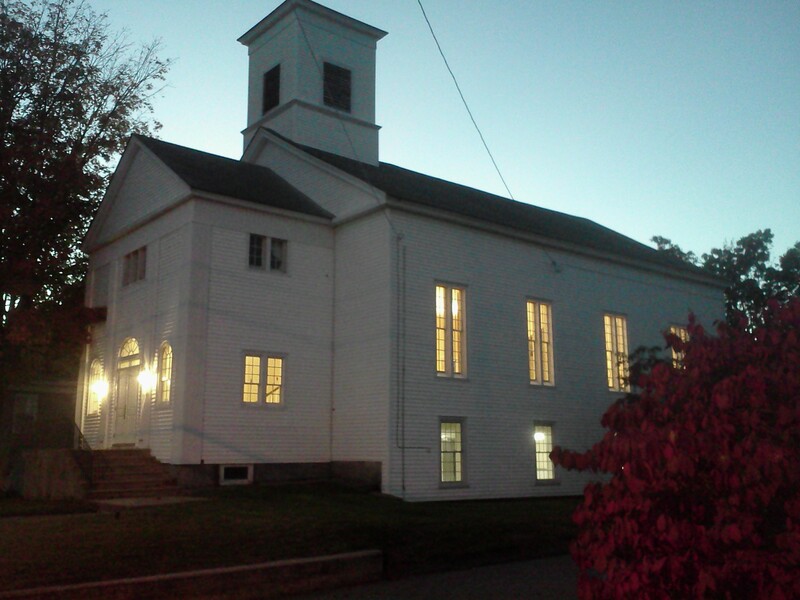 This 1830s building was formerly home to the Union Evangelical Church, which sold the property for $1 to a newly created local non-profit group – PHCC, Inc. – in 2012. The building features Harmony Hall, the larger space, that can hold up to 160 people with theater-style seating or 80 people with function-style seating, and the Villages Room for smaller gatherings. A warming kitchen is also available for use with the rental of either room. (Please see our Rentals page for more details.) The Center also aims to add museum space featuring historical and period pieces from the local area in the near future.